Now available! 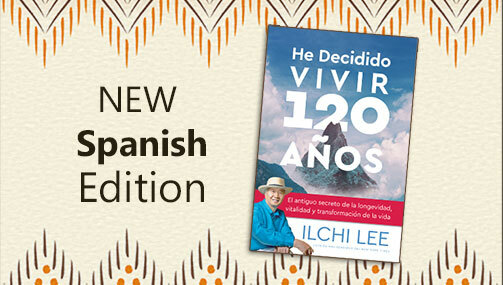 I’ve Decided to Live 120 Years Personal Workbook, the companion to Ilchi Lee’s acclaimed I’ve Decided to Live 120 Years: The Ancient Secret to Longevity, Vitality, and Life Transformation. It’s in our shop for pre-order for 15% off until May 31st, 2018. 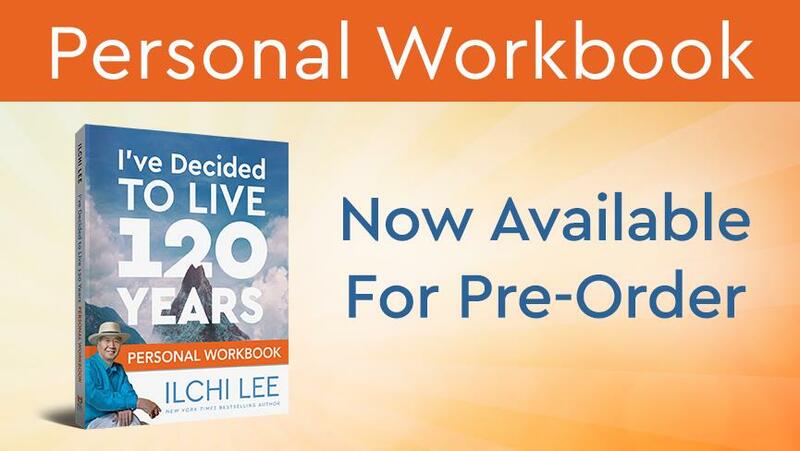 “I got the feeling that many readers seriously want to reflect calmly on how they’ve lived so far and to plan their futures based on their life lessons,” writes Ilchi Lee in the workbook’s Introduction. 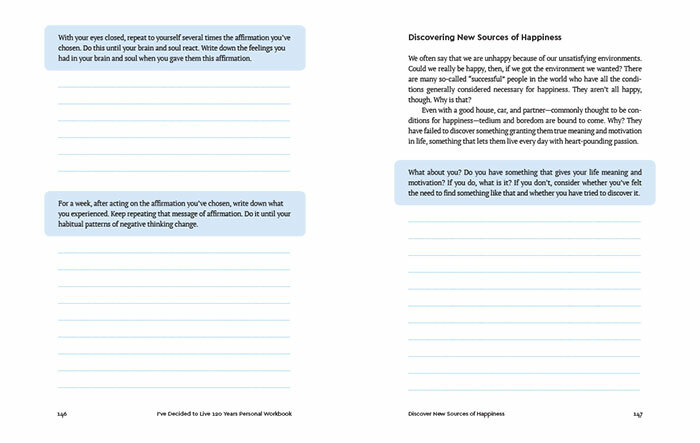 But this workbook isn’t your ordinary planning guide. 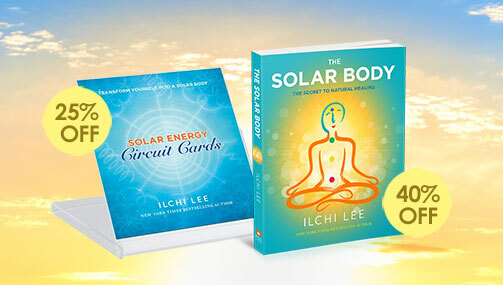 It has meditations and exercises that help you get in touch with the deepest part of you—your true self—the part that Ilchi Lee says transcends the body and is connected to all. 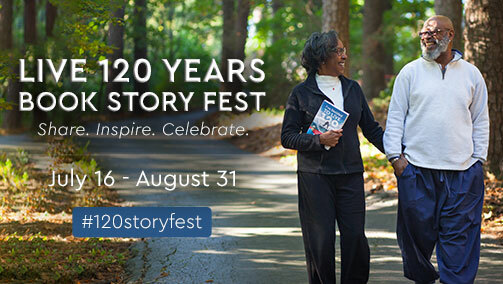 Knowing your true self and completing your life based on what it wants are the cornerstone of the healthy, happy, and long life described in I’ve Decided to Live 120 Years. 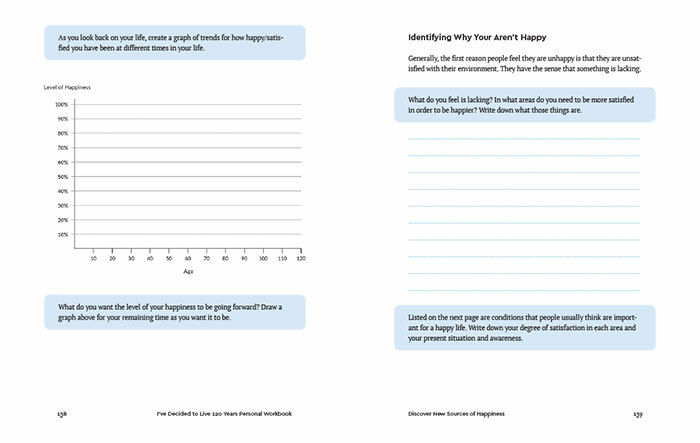 The I’ve Decided to Live 120 Years Personal Workbook takes you through each chapter of the original book and expands on its concepts. This guide for lifelong self-development doesn’t need to be done in a day, though. It’s there for you, helping you look at all aspects of your life that affect your well-being, from the physical to the mental to the emotional to the spiritual. 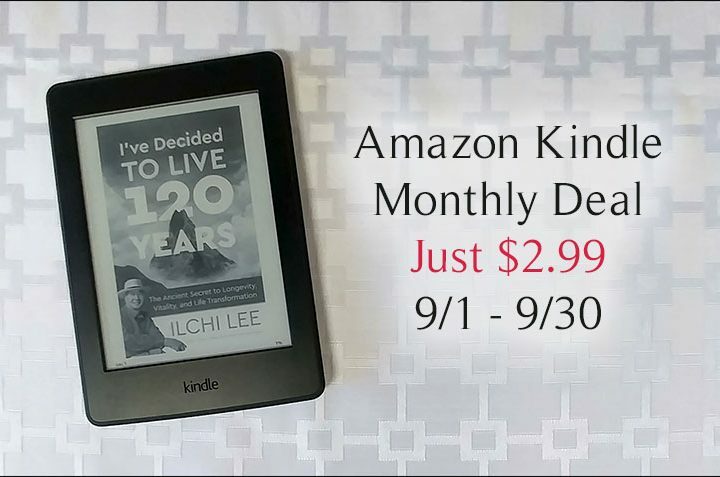 Click here to see more and get your copy! 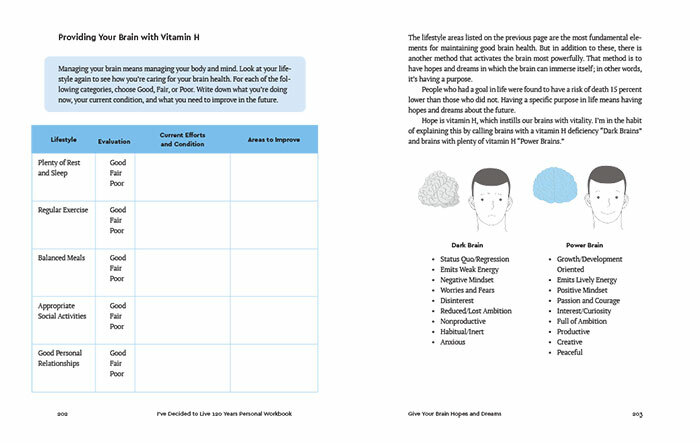 So happy to have released this workbook! Thanks for the pictures of the inside of the workbook!